This product offers our customers the beautiful look of stainless steel at a consider price reduction. 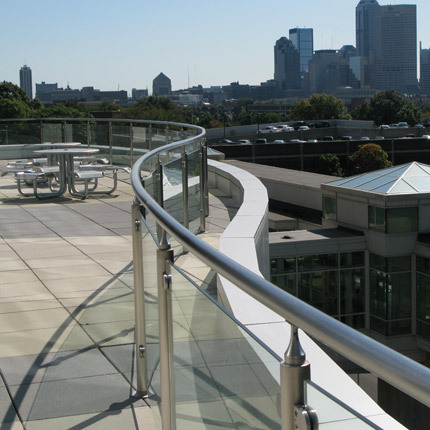 Generally, one third of the cost associated with a fully welded handrail system comes from the labor needed to weld the connection points and then the polishing to grind smooth all of those welds so the connections look seamless. 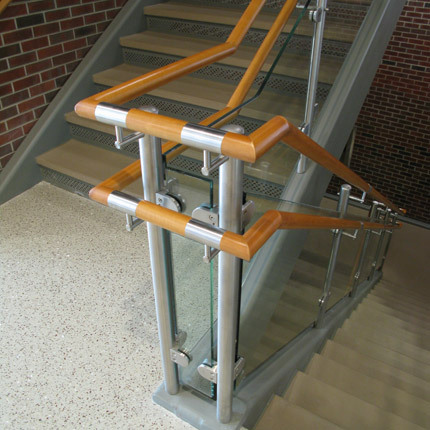 We have been told by our customers that we are unmatched with this finished product. With that said, in these tough economic times, we realize that the costs to get this product aren’t always in the budget. 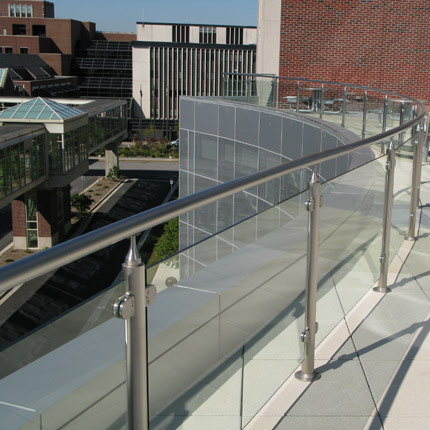 The MODULAIR system offers our customers the beautiful look of stainless steel, but because this is an all component railing, you take out much of the in shop labor and the handrail is assembled on the job site. We feel this new product is something of great value to our customers. Contact us for more information regarding the new MODULAIR system.